This is a "lot style" Widespread Panic T-shirt. 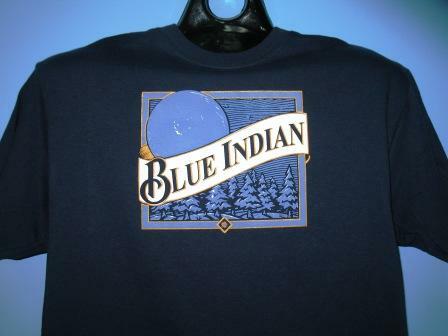 The front design is Blue Indian, a song from the Widespread Panic album 'Til the Medicine Takes. 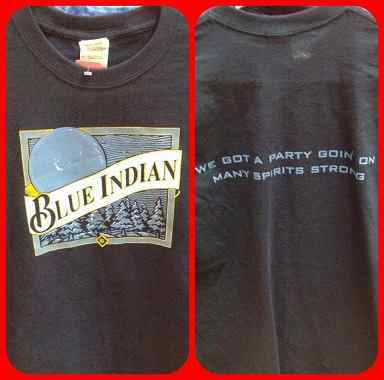 The back says "We got a party goin' on, many spirits strong". Printed on a Navy Blue Hanes T-Shirt. I love this shirt! It is made of heavy cotton, so it feels like it will last longer than a normal t-shirt. I want more awesome Panic shirts like this!!!!! !